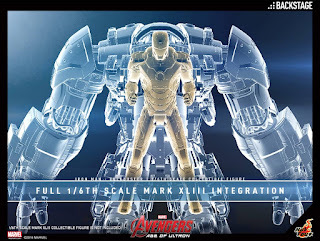 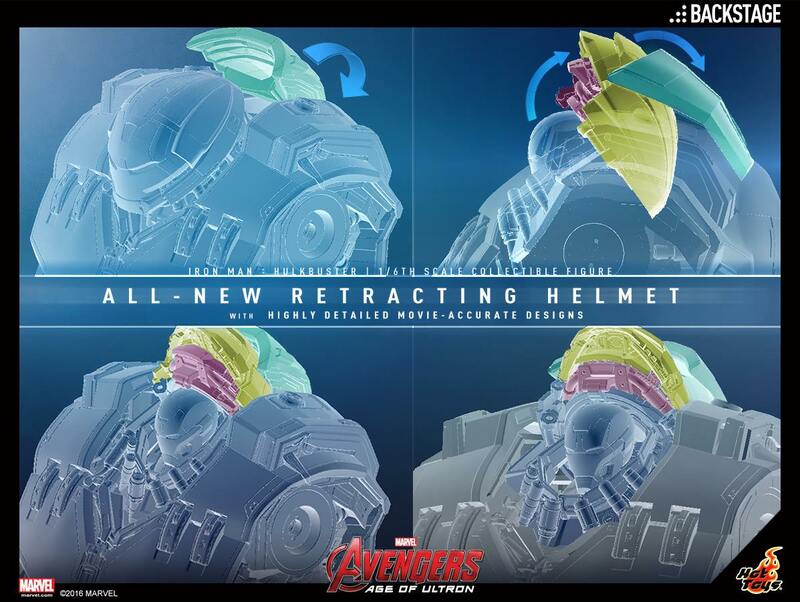 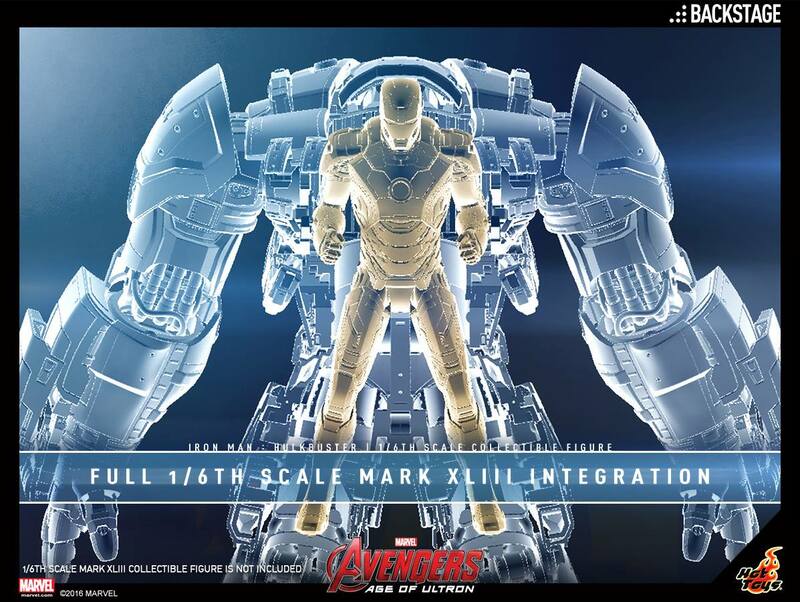 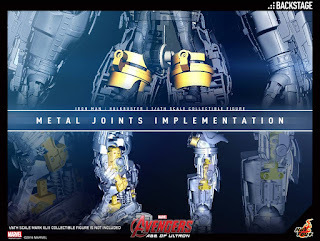 Hot Toys announces Hulkbuster to go through revamps in order to provide even further movie-accurate features and designs, specifically to be able to insert 1/6 scale Mark XLIII (not included) inside the giant buster! 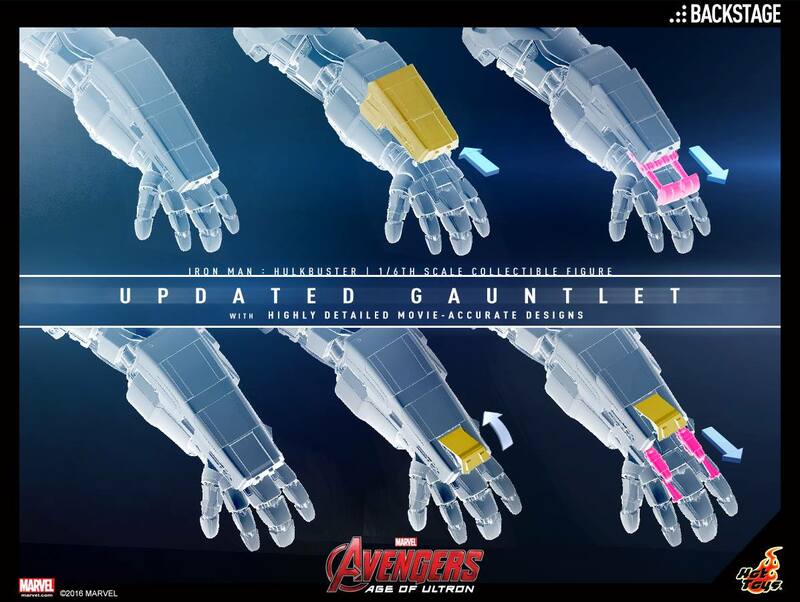 Check out more details below straight from HT! 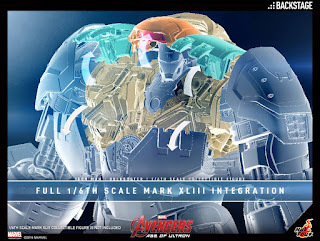 Today we are pleased to announce the Hot Toys 1/6th scale Hulkbuster collectible figure is getting revamped with further highly movie-accurate features and designs, including fans’ highly desired feature to put in Hot Toys 1/6th scale Iron Man Mark XLIII collectible figure (not included) inside the Hulkbuster after taking out the Mark XLIII upper body (included); metal joints implementation in various parts of the inner frame; an all-new retracting helmet design so it is no longer needed to swap out the part and able to display the armor in different stages of suiting up, and updated gauntlet designs which further recreate the movie-accurate and highly detailed mechanical design of the gigantic machine’s powerful arm!